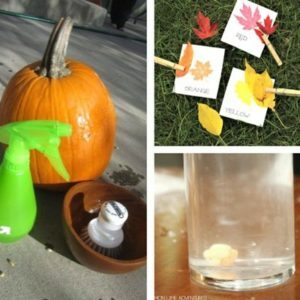 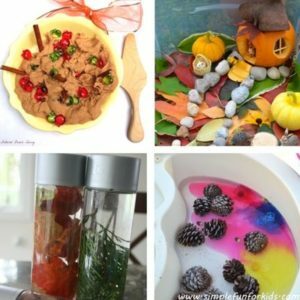 I love Autumn and Fall – any excuse to get started on some fun Fall activities for toddlers~ Our Autumn / Fall Crafts for toddlers post has been so popular that we had to put together a collection of Autumn and Fall sensory play ideas for toddlers too! 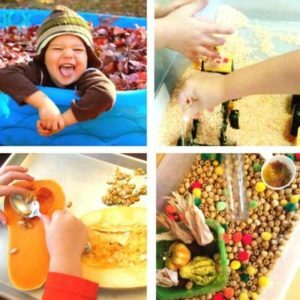 This collection has over 60 Fall sensory play ideas that are perfect for babies, toddlers and preschoolers. 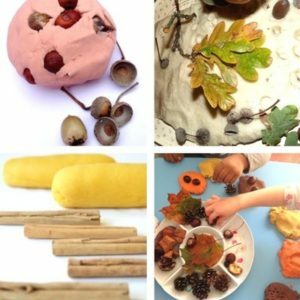 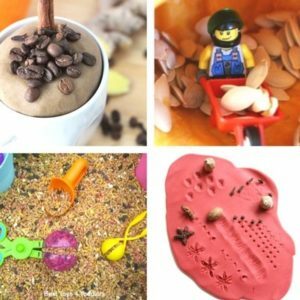 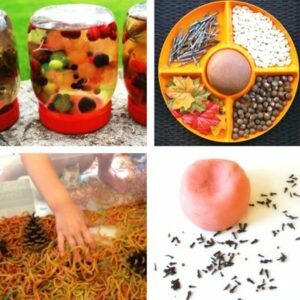 If you are looking for Autumn / Fall Sensory play ideas for toddles, then we certainly have you covered with over 60 great sensory play ideas, with even more Autumn / Fall activities to be found here. 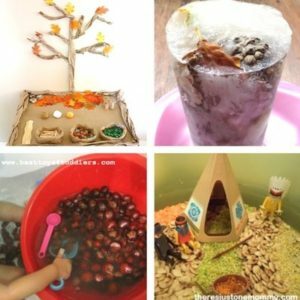 Sensory play is important for toddlers, and should encourage them to engage all of the senses – touch, taste, smell, sight and hearing. 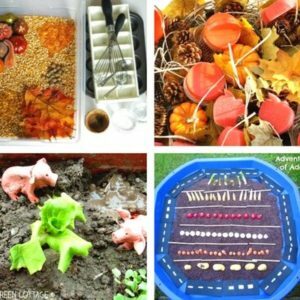 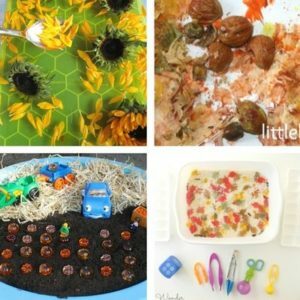 While some of these sensory play ideas are quite amazing (and complex! 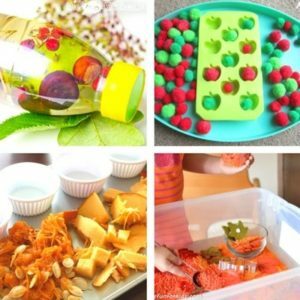 ), if you are new to sensory play you may like to start with some of our simple sensory bin ideas or sensory bottles. 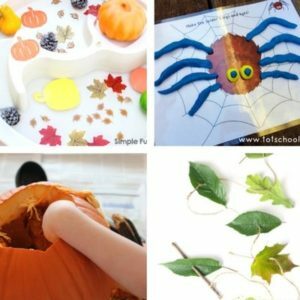 If you love our toddler activities make sure you pop over and follow us on Instagram where we share a new toddler activity idea each day or join our Facebook Group. 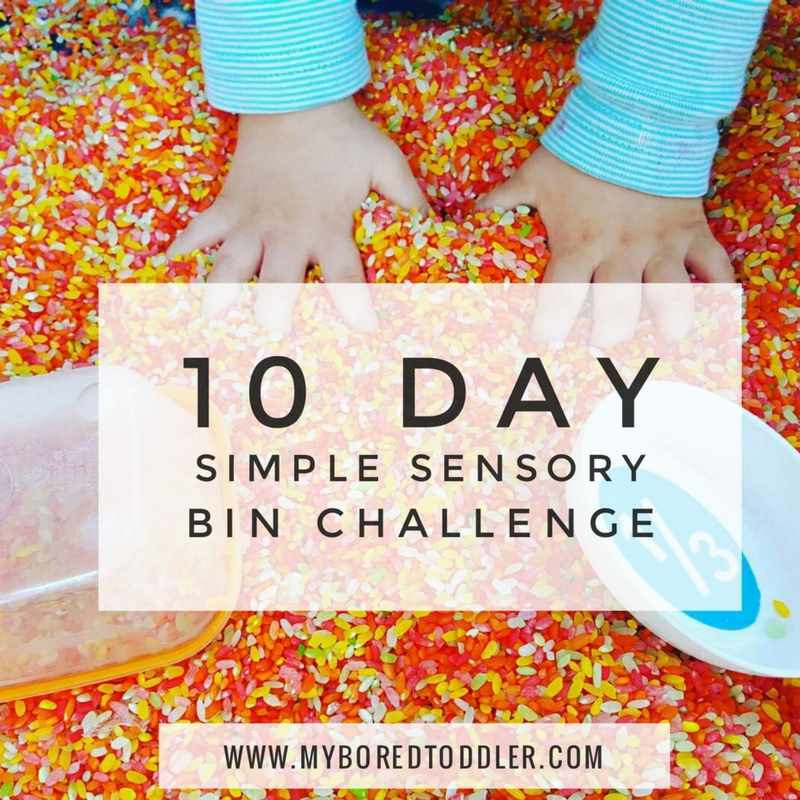 You might also like to join in our FREE 10 Day Simple Sensory Bin Challenge – you can sign up HERE. 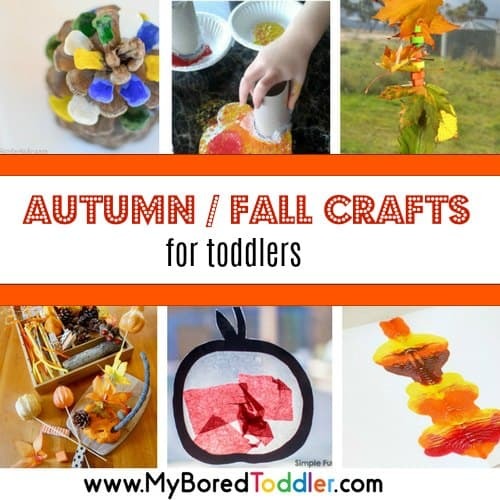 I must say that as a nanny that loves using craft with 3 of my granddaughters, this site is amazing. 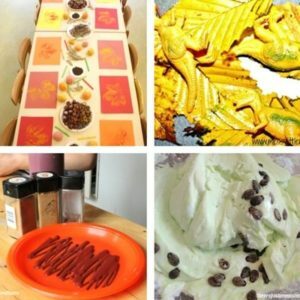 You are associated with so many wonderful sites that I have signed up to them all. 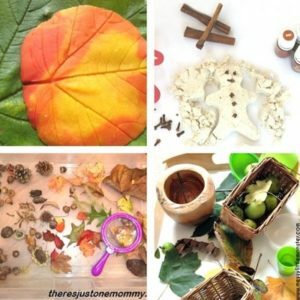 My daughter in law also loves doing things with the 3 girls. 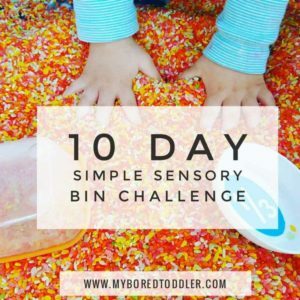 I have placed every site in my favourites so I can forward them to my daughter in law when they get the internet in their new home. 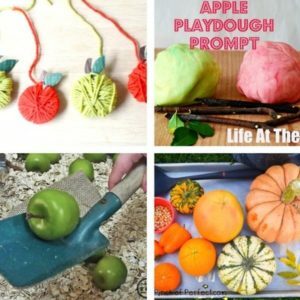 I appreciate all the printables, especially the Free colouring pages for Adults, something I like doing.